I don't know about you but I am a sucker for anything that is "mason", and yes I am talking about the jars! 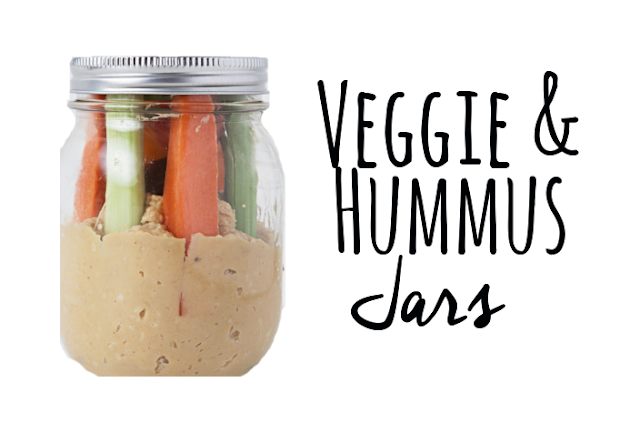 From craft projects to food storage, these jars are a little bit of glass AWESOME! I am always on the looking for something new to do with that, AND boom... 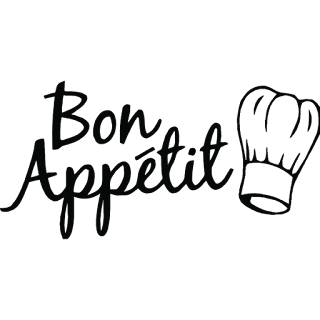 Here is a great way to PREP some healthy snack for the week. It's always nice to have some healthy snacks on hand for those grab and go moments! Remember... if we keep healthy food in the house we will eat healthy food! Drain and rinse chick peas. 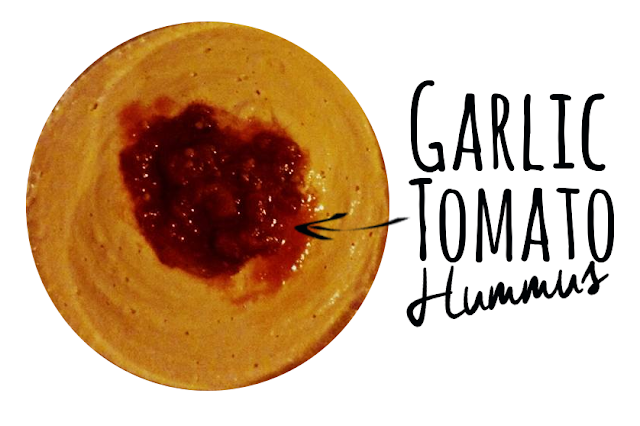 I removed the skin on mine, it's a bit tedious but I think it makes for a smoother hummus. 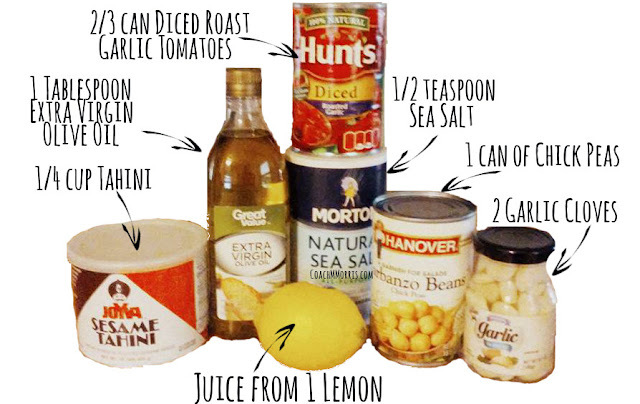 In a food processor or blender, combine 1/4 cup Tahini & Lemon juice. Mix until smooth and frothy. Add 1/2 teaspoon Salt and 2 Garlic cloves, Mix until smooth and well blended. Add 1/3 of the Chick peas and blend until smooth. Add 1/3 Diced tomatoes and blend until smooth. Add another third chick peas, blend until smooth. Repeat with remaining chick peas. You may need to add water while blending to thin out the consistency based on your taste. Put your hummus in a dish and refrigerate. In food processor blend the remaining tomatoes,until they are in tiny chunks. Remove hummus from the fridge and using a spoon make a indent in the center and then garnish with blended tomatoes to taste.